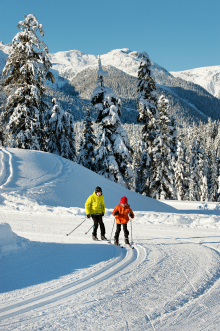 With over 130km of trails set on a 7,000 hectare landscape, Ski Callaghan offers something for everyone. 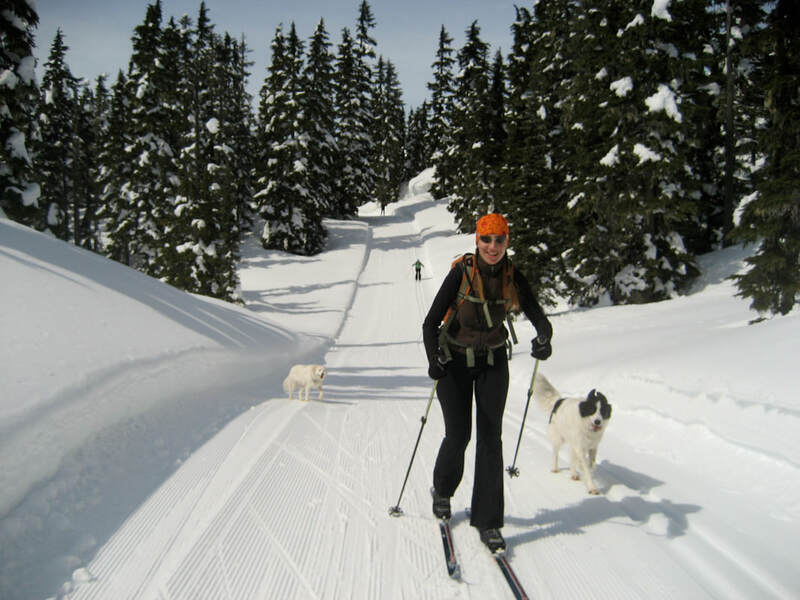 Whether you choose to skate, classic ski, snowshoe or ski tour, the Alexander Falls Ski Touring Centre (first entrance to Ski Callaghan) offers a convenient, affordable place to start your day’s adventure. 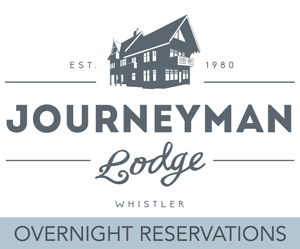 The convenience of a single Ski Callaghan trail pass provides access to the integrated trail system of both Callaghan Country Wilderness and Whistler Olympic Park ski areas as one big ski area! Season Passes offer the best value for Ski Callaghan fans who seek all access, from opening day in November to season end in April. Enjoy the flexibility to ski or snowshoe as little or as much as you like along with the bonus of great pass perks. This season we are pleased to offer a variety of Season Pass Products: Ski Callaghan, Dog Passes, Ski Callaghan + Lost Lake (Dual Area) + Pass Perks! -Customize your coaching session i.e. "What do you want to work on?" All abilities welcome. The purpose of the clinic is to improve skill level. 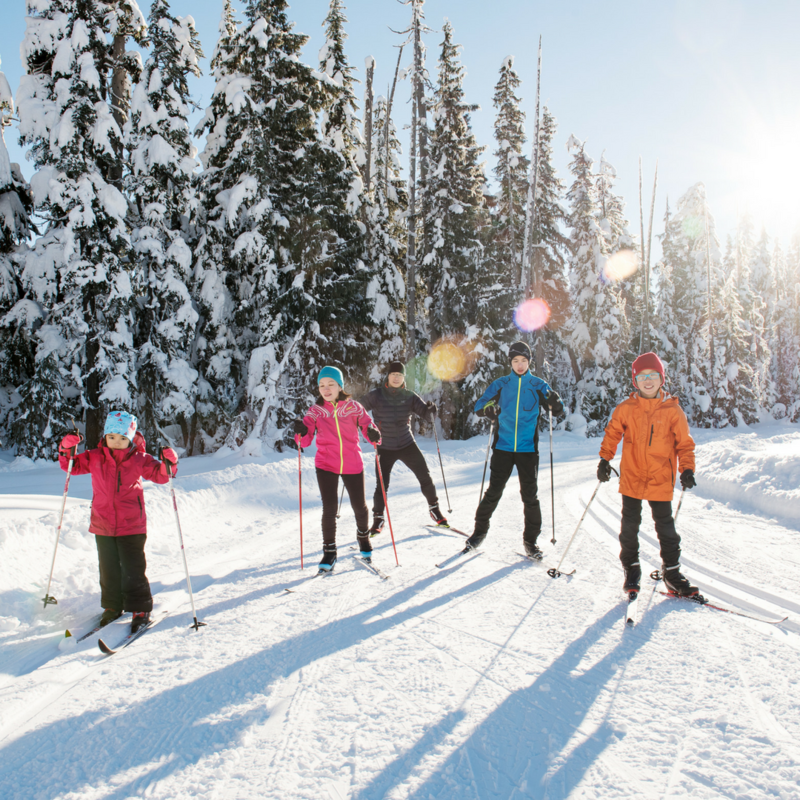 Special introductory family ski passes are available for purchase at the entry gate to the Alexander Falls Ski Touring Centre. Savings of almost 20% can be made for a family of four. In addition, the Access Callaghan Ski Shop provides a full line of reasonably priced ski and snowshoe equipment for daily rental. Show your family pass and receive further discounts on children's rental equipment. We also offer child style chariots (sled pulks) for rent at competitive pricing. Start and finish your day without stress of a major hill climb back to your vehicle. 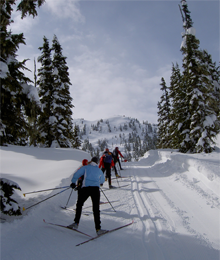 Callaghan Country Wilderness grooms and track sets all of its trails to accommodate the traditional form of kick and glide skiing. The technique is recommended for entry level skiers wishing to access the valley’s higher elevation trails. All equipment including “kick” skins are available at our Access Callaghan Ski Shop. Nestled into the vast landscape of Callaghan Country is the home of North America’s longest continuous Nordic hill climb and one of the world’s steepest descents. Athletes of all stripes come here to challenge themselves and cross train on some of the toughest terrain to be found anywhere. Can you rise to the challenge?